The new Cine Power 48 Volt DC Driver safely and efficiently runs the ARRI LED S60 and S120 SkyPanel at 100% output on battery power. 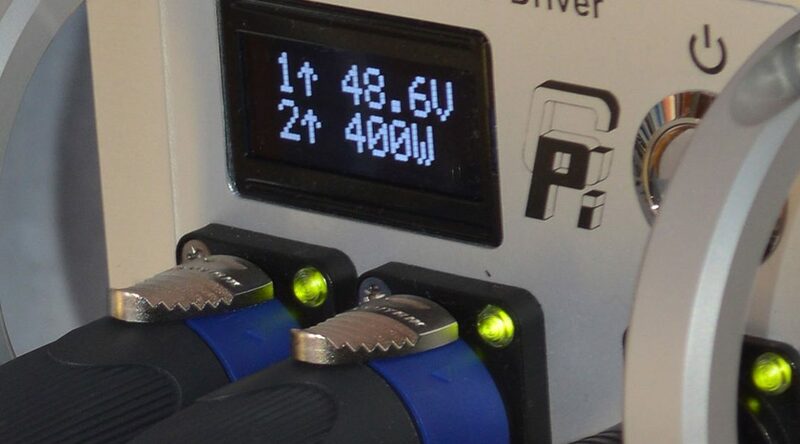 Run time for 1 X 30V 15 Ah Powerbank is around an hour at 100% Skypanel output, longer if dimmed. For longer run time connect up 2 X Powerbanks. Battery inputs can be “hot swapped” without interrupting light output!